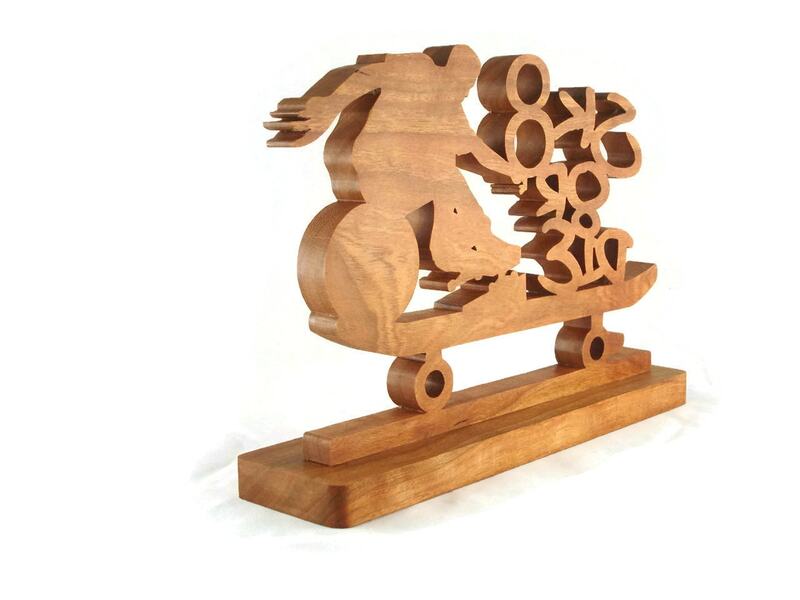 Do you or someone you know a skateboarding enthusiast? 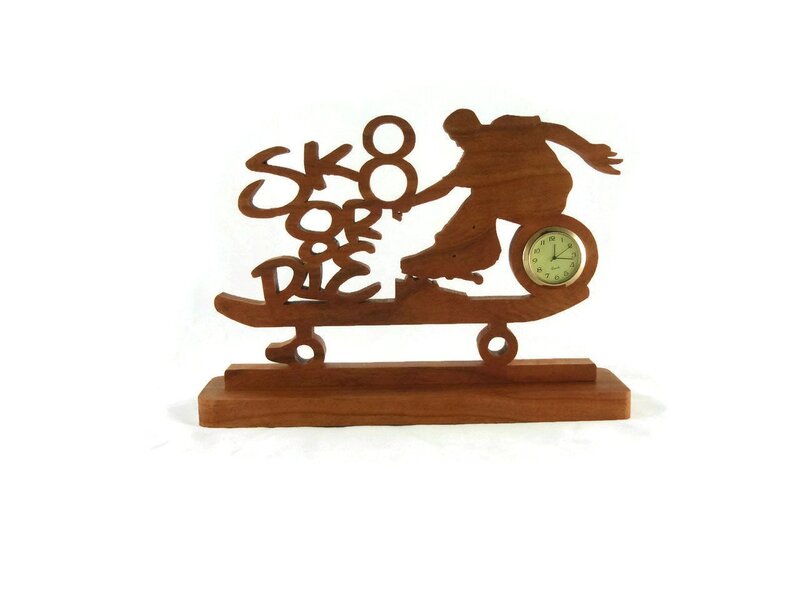 This is the perfect gift for that teenager that likes skateboards and skateboarding. 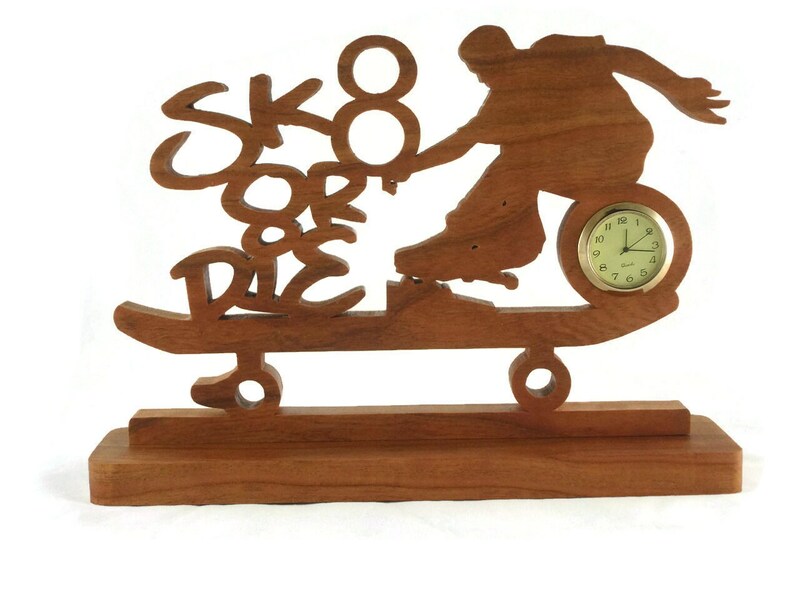 This skateboarder desk or shelf clock features a skater doing stunts on the right hand side and on the left side is the phrase sk8 or die. 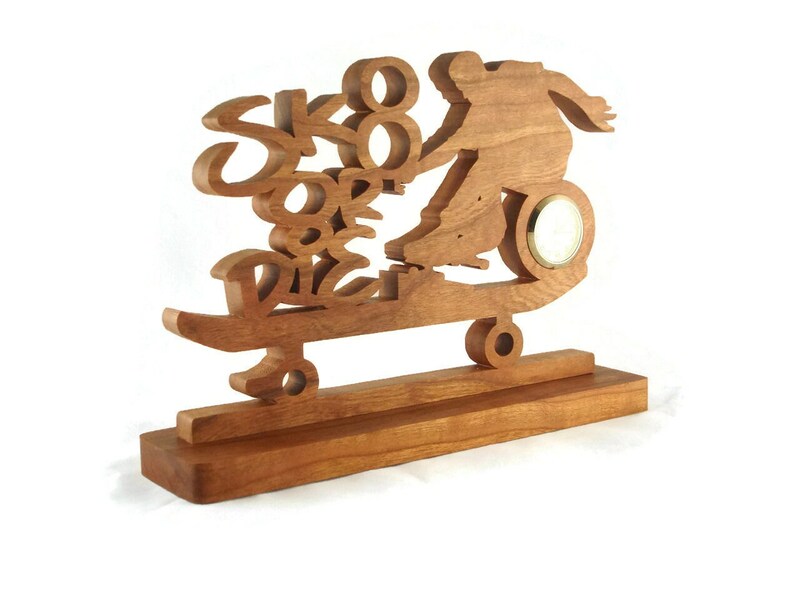 All this display is on the top of a skateboard shaped cutout. 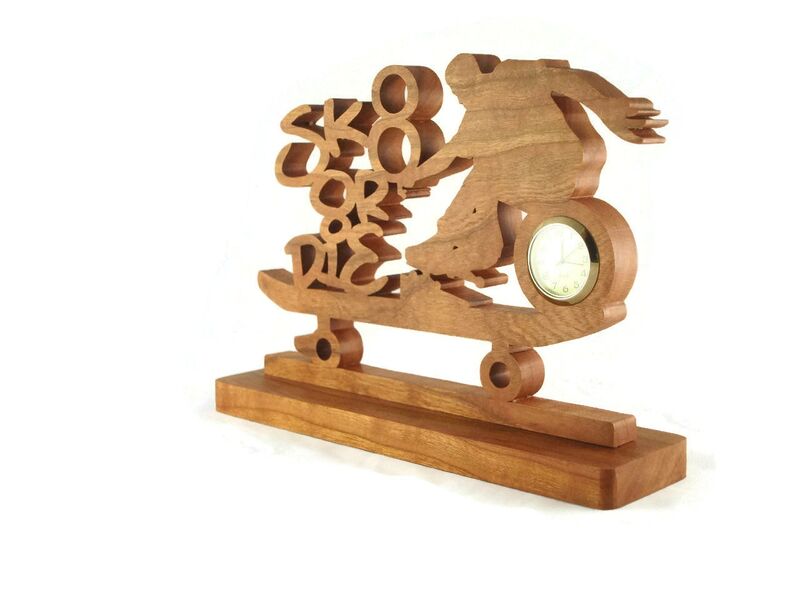 This is made out of hand picked 3/4 inch thick cherry wood. An all natural non-toxic mixture of bees wax and mineral oil finish was applied to bring out the natural beauty of the wood as well as to protect its natural beauty for many years of enjoyment. This finish also gives the wood a soft/silky feel to the touch. The mini quartz 1-7/16 inch clock features a ivory colored face with black Arabic numbers, a glass lens, and a gold plated bezel. Clock comes with battery installed and is ready for you to activate it.